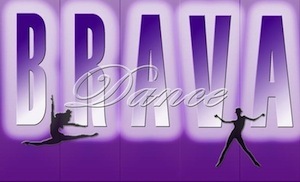 Welcome to Brava Dance Center's online registration! Please provide your information below and click SUBMIT when complete. Registration is not complete until tuition is received. Tuition will be posted to your account by the end of the day and can be paid online at that time. I understand that FULL tuition is due at the time of registration, via check in the mail or payment online. If credit card information is entered at registration, that account will be charged full tuition within 2 days of registration. I understand that tuition is non-transferable and nonrefundable. A late drop cancellation fee of $100 per class will be charged. Your confirmation is your canceled check. I realize that any program such as Brava Dance Center, which involves movement and motion, can result in physical injury. I permit my child to participate in Brava Dance Center and release Brava Dance Center LLC, their owners, employees and instructors from all liability for injury to my child from his/her participation in this program. The undersigned gives permission to Brava Dance Center LLC, its owners and operators to seek medical treatment for the participant in the event they are not able to reach a parent or guardian. I hereby declare any physical/mental problems, restrictions, or condition and/or declare the participant to be in good physical and mental health. I allow Brava Dance Center to use the likeness of my child in photographs for advertising and promotional purposes without compensation to my child or myself.